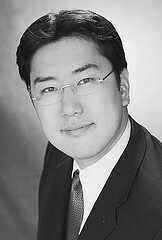 Dr. David Kim was born and raised in the Chicago area. After surgical residency in Chicago he moved to New York to train at Montefiore medical center. He then moved to the Los Angeles area and joined a group in Beverly Hills where he honed his skills as a cosmetic plastic surgeon. He recently opened his own private practice located in Beverly Hills. Beverly Hills is one of the most popular destinations for cosmetic plastic surgery. Plastic surgery has increased in popularity over the past several years due in large part to the media that has surrounded these procedures, from where else, but Beverly Hills. Cosmetic surgery such as breast augmentation, rhinoplasty, liposuction top the list of some of the more popular procedures performed. Plastic surgeon Dr. David Kim has been in practice since 1999 serving the Beverly Hills / Los Angeles area. And in that time has performed several thousand procedures making him extremely experienced. He is board certified by the American Board of Plastic Surgery. This is the only plastic surgery board recognized by the American Board of Medical Specialties. Dr. Kim has won numerous awards for artistic talent. It is this talent that allows him to give you the best result possible.